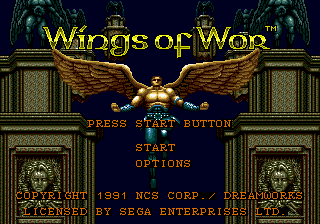 Wings of Wor © 1991 Dreamworks Games. North American release, licensed from NCS. Game developed in Japan. See the original for more information: Gynoug.